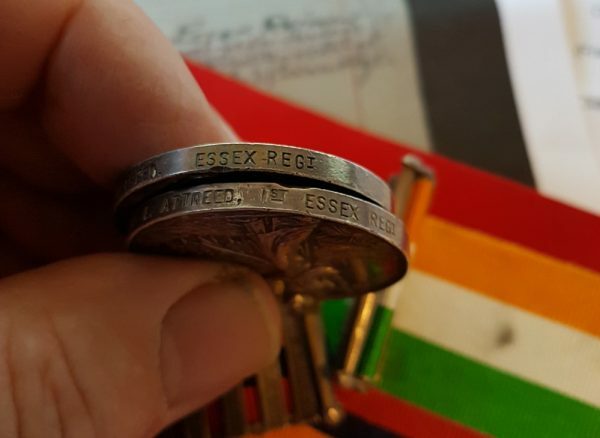 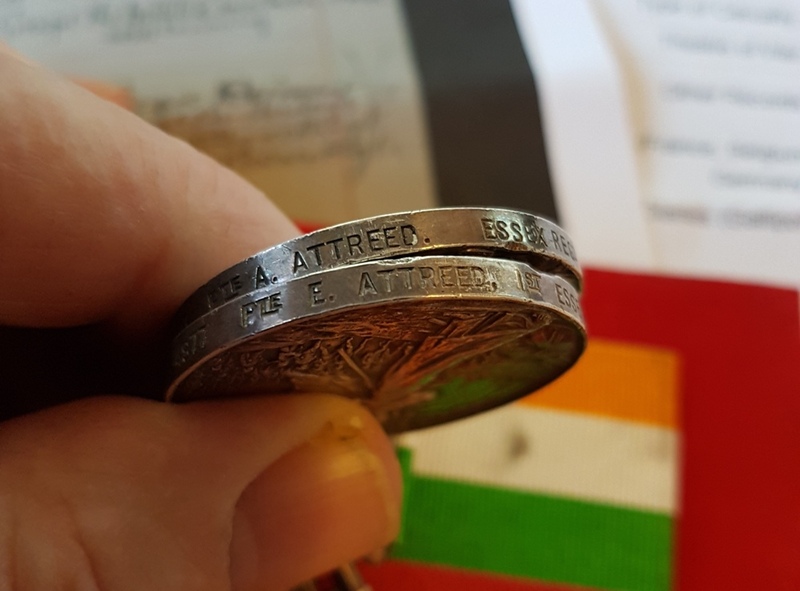 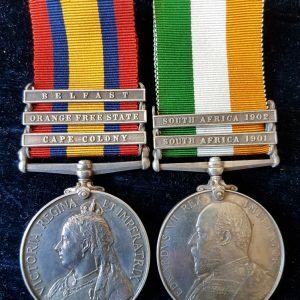 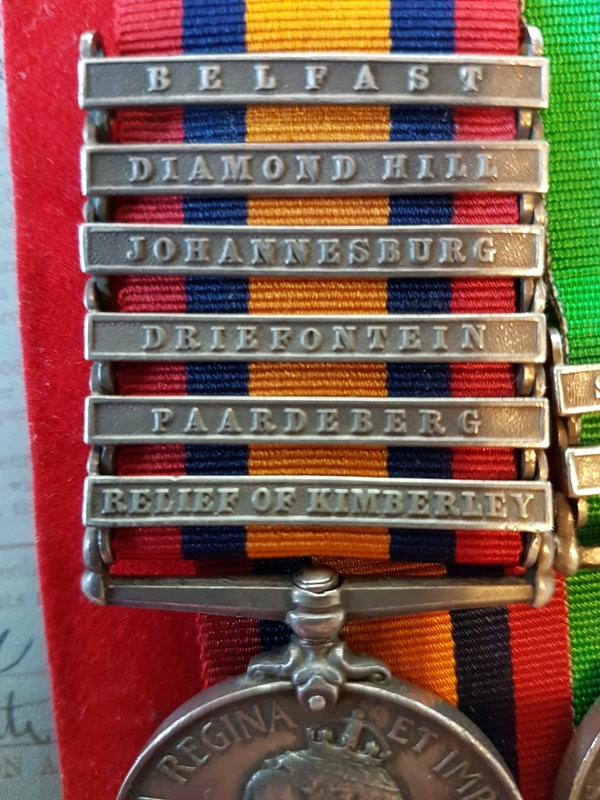 Essex Regiment Queens South Africa Medal with 6 clasps: RELIEF OF KIMBERLEY – PAARDEBERG – DRIEFONTEIN – JOHANNESBURG – DIAMOND HILL – BELFAST named to: and Kings South Africa Medal with bars – SOUTH AFRICA 1901 – SOUTH AFRICA 1902 named to: 4877 PTE A ATTREED ESSEX REGT. 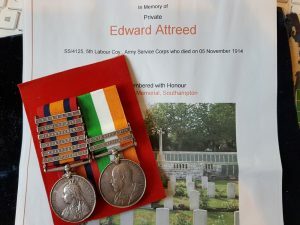 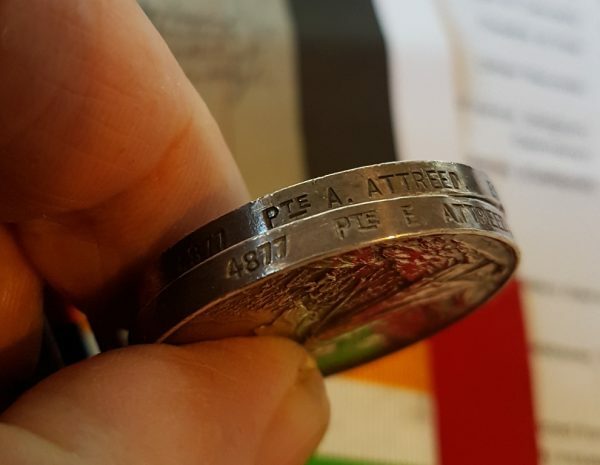 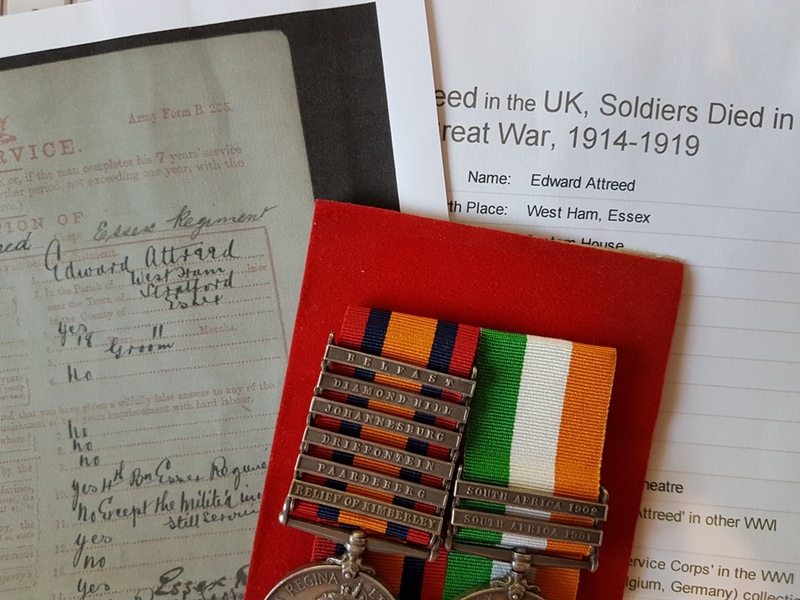 Edward Attreed was born in West Ham, Stratford, London and attested into the Essex Regiment aged 18 years 11 months. 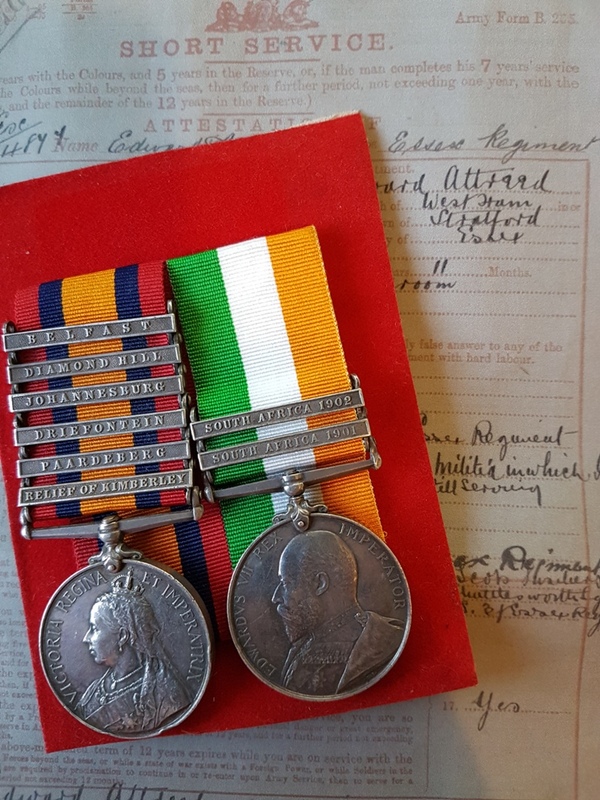 He was serving in the 4th Battalion Essex Militia at the time of his attestation in 1897. His papers are on-line. 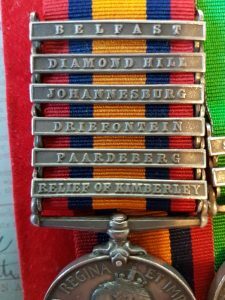 These state that he was serving with the 26th Battalion Mounted Infantry during the South African Campaign. 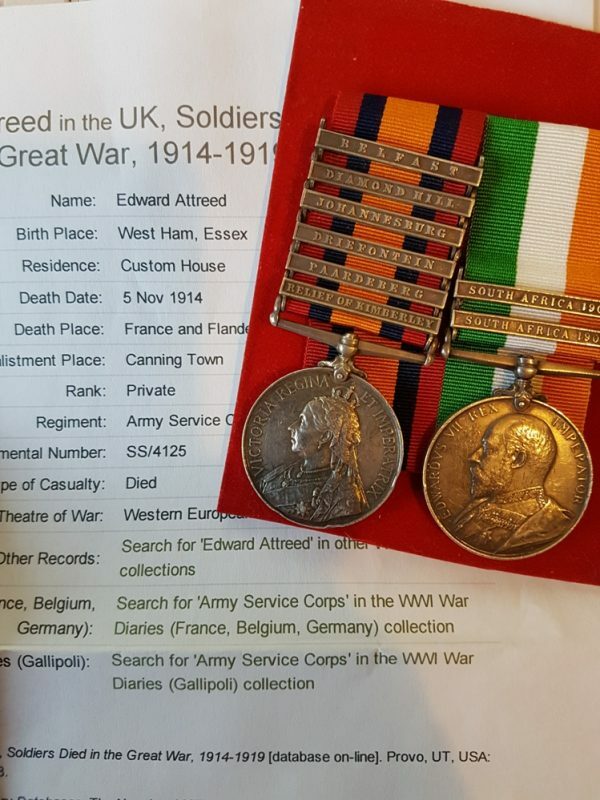 His family was from Stephens Road, Stratford, London and he had a brother Henry Attreed who was serving in the Royal Artillery. 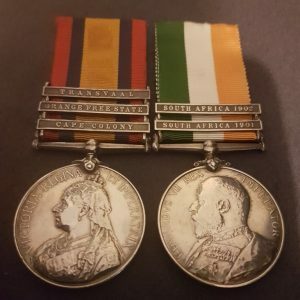 Medal Rolls confirm his entitlement. 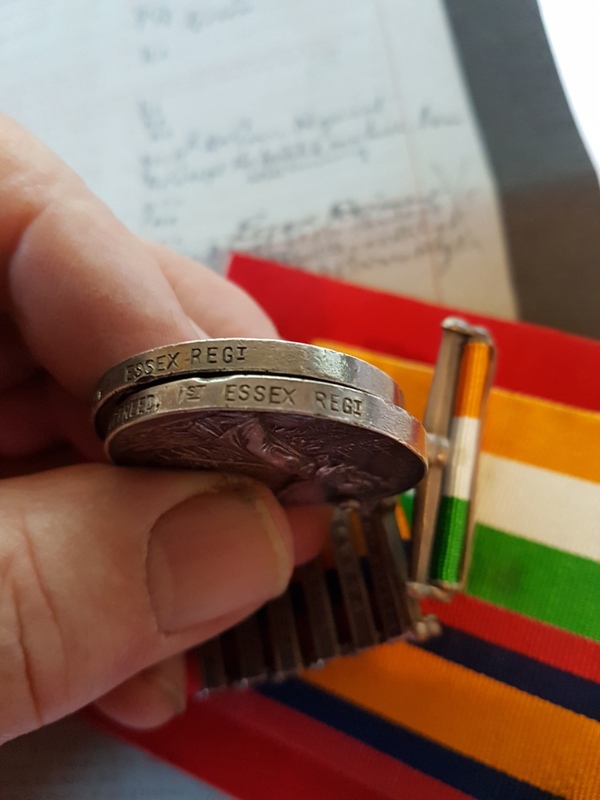 The KSA roll also shows his initial erroneously recorded as A, hence the KSA incorrect naming. 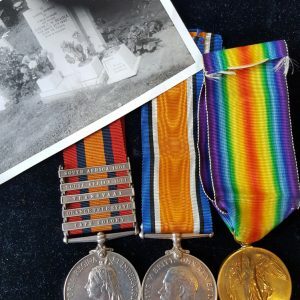 An Edward Attreed drowned whilst serving as SS/4125, 5th Labour Company, Army Service Corps.